Safdar Hashmi Memorial Trust (SAHMAT) celebrated 1 January 2018 with a day-long cultural event at the Constitution Club Annexe, here in New Delhi last Monday. On 1 January 1989, Jana Natya Manch (JANAM), while performing a street play in Jhandapur, was attacked by a crowd of armed Congress goons. 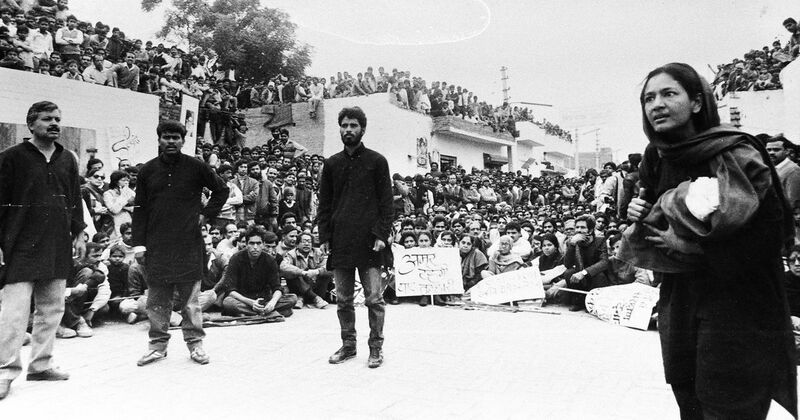 In the ensuing violence, two people lost their lives — Ram Bahadur, a worker, and Safdar Hashmi, JANAM’s founder and an eminent theatre activist. As details of the attack emerged, it became clear that it was a well-orchestrated attack aimed at murdering Hashmi. JANAM went back to the same spot two days later, on 4 January, in defiance of the ruling government’s browbeating tactics, and completed their performance. The event marked a watershed moment in modern Indian political history. The incident led to widespread public outcry. Various individuals and organisations extended their support to JANAM. 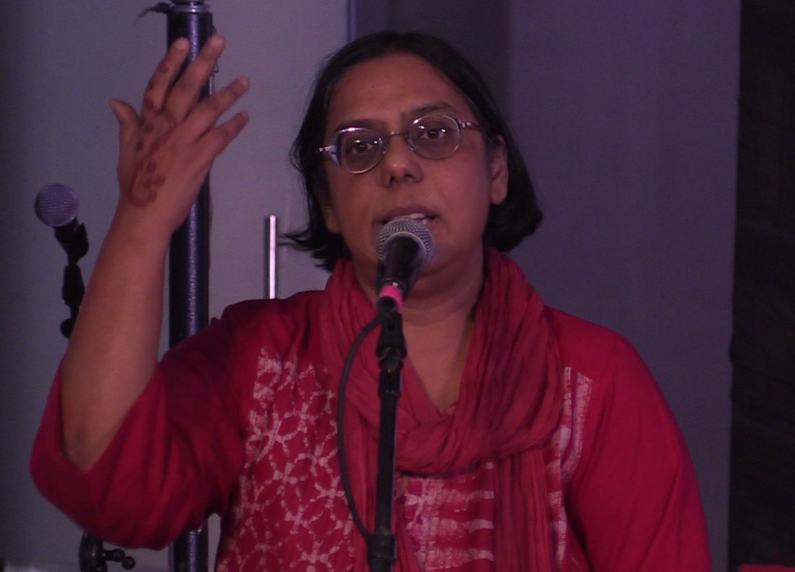 SAHMAT, formed barely a month after the horrific event, was created with the vision of being a safe platform for academics, intellectuals, artists, and writers. 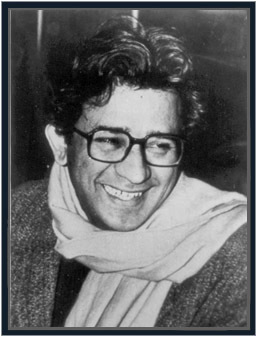 It commemorates 1 January every year as Safdar Hashmi Memorial Day. In a parallel event, JANAM, along with Centre for Indian Trade Unions (CITU), also marks the occasion by organising a memorial event for Ram Bahadur and Safdar Hashmi in Jhandapur, involving street plays, songs, dances, books, and speeches. Keeping up with their tradition, SAHMAT organised a day-long Jashn-e-Daura this year too. They also used the occasion to mark 25 years of the Babri Masjid’s demolition and its effect on the secular fabric of the country, especially in the wake of the divisive politics of the current ruling government. As visitors walked into the Constitution Club Annexe, they were greeted with three exquisitely mounted exhibitions. “Beyond Dispute: Landscape of Dissent”, which involved photographs, paintings, and other works across various mediums, was a reinterpretation of the demolition, as one of its curators, Aban Raza, explained later. This was accompanied by an earlier exhibition by SAHMAT, "Hum Sab Ayodhya”, which carried photographs, paintings, and texts from various sources, all documenting the long history of pluralism in Ayodhya. The wall at the far end of the hall was covered with photographs, primarily portraits; it was part of a photo series covering the massive gathering of farmers, the three day “Mahapadav”, that took place in the capital recently. This space was also where the opening performance of the day took place with the street play, “I Have a Problem”, by the volunteer based theatre group Bigul. The play, a satire, dealt with the rising communalism, intolerance, and the rise of right-wing Hindutva forces in the country. This was followed by JATAN Natya Kendra’s piece, a theatre group from Rohtak, Haryana, who performed four poems as plays. The poems covered a range of topics such as patriarchy and how it obstructs women’s advancement (“Pitaon Ka Chorus”), the rising violence and rousing of communal tensions for political purposes (“Tumhe Zeher Pilayein”), and the execution of those who dare to speak up against injustices (“Maare Jaayenge”). The plays set the tone for the performances that were to follow. JANAM (Kurukshetra) sang songs of communal harmony and solidarity. Virendra Saini’s film on Ayodhya was screened next. The filmmaker was also present, having flown to Delhi especially for the event. Ram Rahman, a photographer and one of the founding members of SAHMAT, while introducing the movie, also talked about SAHMAT’s sustained efforts at countering the communal propaganda of the right-wing groups since the demolition. Almost immediately after the demolition, SAHMAT had called on artists from across the country to come together in solidarity, putting together a 17-hour long musical event, meant to celebrate the secular spirit of the country. They took this event, “Anhad Garje”, to different cities like Ahmedabad, Bombay, and Lucknow. 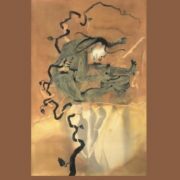 It was during this time, in 1993, that they mounted the exhibition “Hum Sab Ayodhya”, which was exhibited in at least 17 cities. 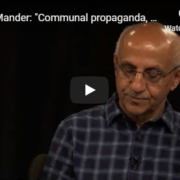 It was Madhukar Upadhyay, a senior journalist—incidentally, he was also one of the first to get the news about the demolition of the Babri Masjid out—who suggested that they take the show to Ayodhya. SAHMAT took the show to Ayodhya, deliberately choosing to have it on 15 August because of its significance in the Independence Movement because it is a movement that the RSS, for all their insistence on “nationalism”, cannot lay claim to. The event, “Mukt Naad”, took place on the banks of the Saryu River in Ayodhya, with over a thousand artists and intellectuals, among others, coming together in a sort of sit-in, to protest against the demolition. Among those who performed were Rajan and Sajan Mishra, Kartik Baul, Kalucharan Mahapatra, Sitara Devi, and Girija Devi. 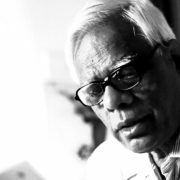 Virendra Saini, who is a noted cinematographer, filmed the entire event, later using it in his film on the history of Ayodhya and its syncretic culture. 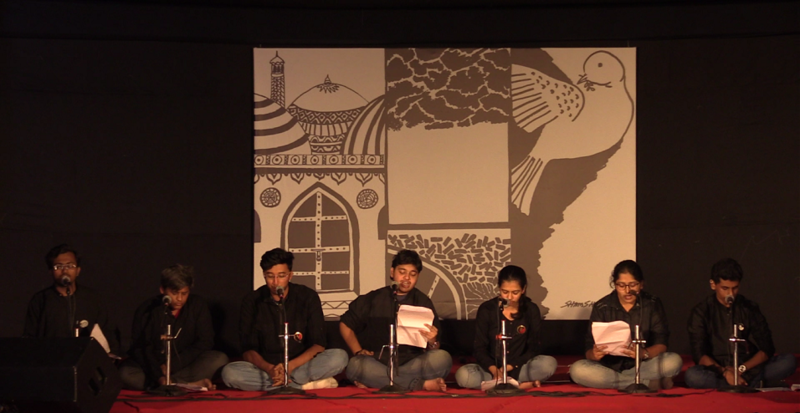 A group of former students from the Brihan Maharashtra College of Commerce (BMCC) in Pune also did a reading of their play, “Mei Safdar.” The group made an interesting use of beatboxing to create sound effects to support the dialogues. Interesting, a little earlier in the day, the group had also performed “Mei Safdar” at the Jhandapur memorial event. Two journalists also took the mic to recount their experience of reporting about the demolition from Ayodhya. Ruchira Gupta, who was a journalist with Business Line at the time, spoke first. She reiterated that the demolition was pre-planned and intentional; it was not the result of mob violence, as is popularly believed. It became clear to her, from a conversation that she was privy to between L K Advani and Pramod Mahajan, that a team had been especially called to raze the domes of the mosque to the ground. 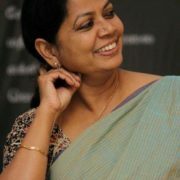 She also spoke about the violence against journalists that the kar sevaks were indulging in at the time. For instance, Mark Tully, who worked with BBC at the time, was locked in a room by the kar sevaks. She asked Advani, who was aware of the developments, to make announcements saying that the kar sevaks restrain themselves from indulging in violence. But he did not do so. 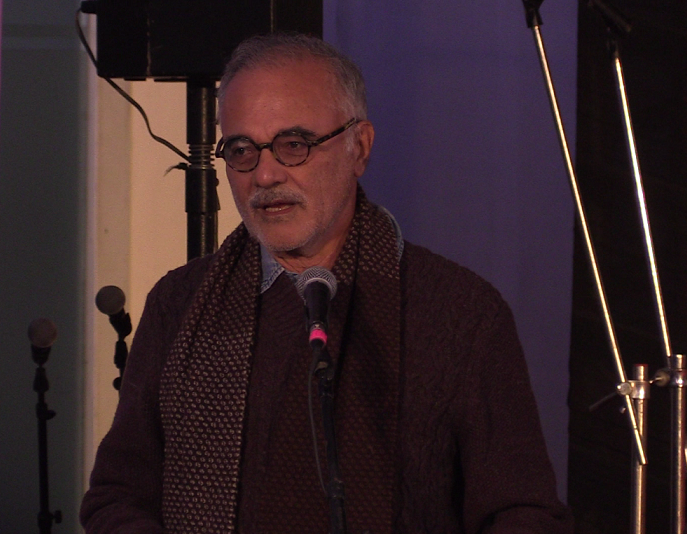 Towards late afternoon, the SAHMAT calendar for 2018 was released by Mira Nair and Mahmood Mamdani. SAHMAT also launched three books at the event. 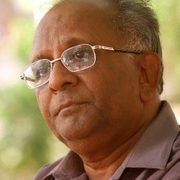 The first was a new edition of The Republic of Reason: Words They Could Not Kill, Selected Writings of Dabholkar, Pansare, Kalburgi, and Lankesh. The previous edition did not have Gauri Lankesh’s writings. 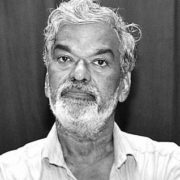 However, after Lankesh’s assassination, SAHMAT decided to include her writings as well. Ghulam Mohammad Sheikh released the book with the words, “This is what we need today. This is the need of the hour!” The other two books, introduced by Rajendra Sharma and released by the Hindi poet, Manmohan, were Doh Sarfarosh Shayar: Bismilla aur Ashfaqulla and 1947–2017: Azaadi ke Sattar Saal. As the day approached evening, Arman Ali Reza Dehlvi took the stage, captivating the audience with his classical singing. The event ended with a concert with Deepak Castelino (guitar), Pandit Pritam Ghosal (sarod), and Madan Gopal Singh (harmonium). 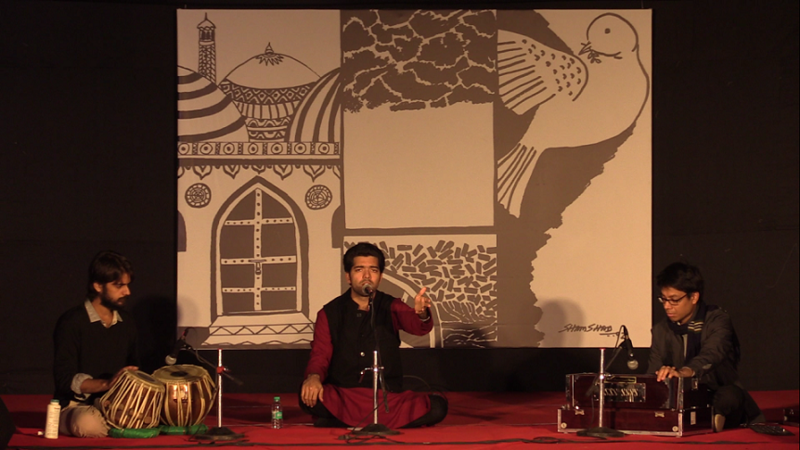 The trio was later joined by Amjad Khan, playing the tabla, and Jasbir Jassi. What made this cultural event unlike the rest in the city were its political underpinnings. All the plays, songs, performances upheld the values of tolerance, love, secularism; while also denouncing the proliferation of hate and violence among communities on the basis of religion, caste, gender. In light of the ruling government’s legacy of using divisive politics and violent communalism to win elections, and because of the national elections slated for next year, the palpable sense of urgency, felt by almost all those who were present, was not misplaced.